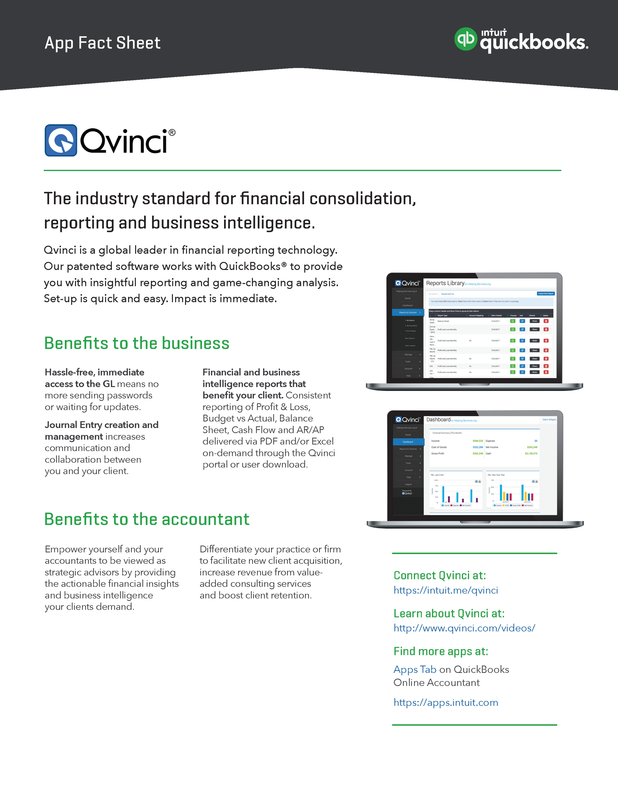 Qvinci is the industry standard for financial consolidation, reporting and business intelligence. Qvinci’s patented software works with QuickBooks® to provide you with insightful reporting and game-changing analysis. Set up is quick and easy. Impact is immediate. Download a PDF version of the fact sheet for review and to share with your clients. Editor’s note: Check out this Qvinci Case Study and Checklist.